Tioman is the newest duty-free island in Malaysia, receiving the status on September 2002. The world's best-known spirits, wines and champagne, top-selling brands of cigarettes, cigar and tobacco. Duty free haven and many items including chocolates, beach fashion apparels, eyewares, local handicrafts and folk art. At the Tioman Malaysia Hotel, you can take your pick on the finest traditional handicraft and fine apparel for your souvenirs. 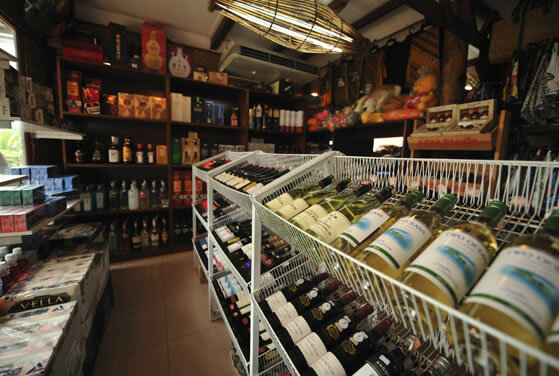 Tioman Island Hotel duty free shopping lets you choose from world-renowned spirits and champagnes, cigars, tobacco, sweets, perfumes and cosmetics at highly competitive prices. Indeed, the Tioman Island Resort duty free shopping is one of the highlights of your vacation before you leave the island! Find out what many people have been talking about the Tioman Island Resort beach club, where you can experience the finest al-fresco dining while basking under the stars. At the resorts in Tioman, you can also choose the freshest seafood that is cooked jut the way you like it and accompanied with your favorite beverage or wine. The Beach Club is open from 5 pm to 1 am. Elegant and cozy monsoon rainforest scenery at the Tioman Island Hotel meeting and conference room provides the perfect spot for your corporate events and social functions. Whether you are planning for team building activities or a brainstorming session, you can book the multi purpose hall at the Tioman Malaysia hotel meeting and conference room, which can hold as much as 60 individuals. Take your children to the Tioman Island Resort playground where they can spend hours enjoying themselves as they explore play areas with the whole family. 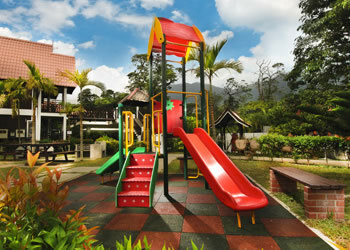 The playgrounds at resorts in Tioman are ideal for children between 5 and 12 years of age. However, be sure to supervise your kids at all time to ensure their safety. Resorts in Tioman feature two extravagant, yet eco-friendly pools that are only a few distances from the Seri Kajang Wing rooms. These pools are for the private use of the hotel&apos;s valued guests. Tioman Island Resort swimming is a must try at the hotel, as one pool is dedicated for scuba diving and snorkeling lessons while the other is reserved for swimming purposes. You may also lounge at the poolside and sip your favorite beverage while bonding with your loved ones. 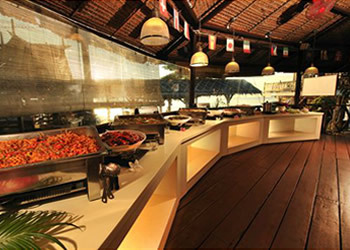 The restaurants at Tioman Island Resort, particularly the Rama Rama restaurant, feature an invigorating ambience that adds to your dining experience. Here at the Tioman Island Hotel restaurant, you can witness the fascinating views of the South China Sea while savoring the goodness of Western or Asian cuisine. The Tioman Island Resort restaurant also offers traditional menus such as Thai Spicy Tom-Yam Soup and a wide array of Chinese stir-fry recipes. 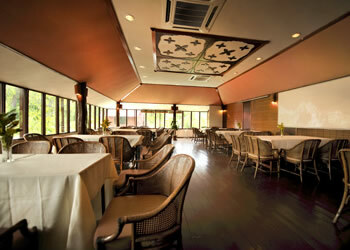 As for those who crave for Western cuisines, then the Tioman Malaysia Hotel restaurant also has something to offer. Popular choices include Linguine Vongole, Lobster Thermidor, and Savory Seafood Pilaf, to name a few.